Boris Bally believes that recycled work does not have to be dismal, alienate, or lack in comfort. He hopes to open people’s minds to see that recycled work need not lack humor. Bally champions wide appeal from members of the general public to the more design and art savvy. Much effort goes into the location, purchasing, and selection of the optimal sign materials. The used signs delight, invite and subversively educate. Boris Bally aims to create furnishings that support recycling, good design and sustainability. 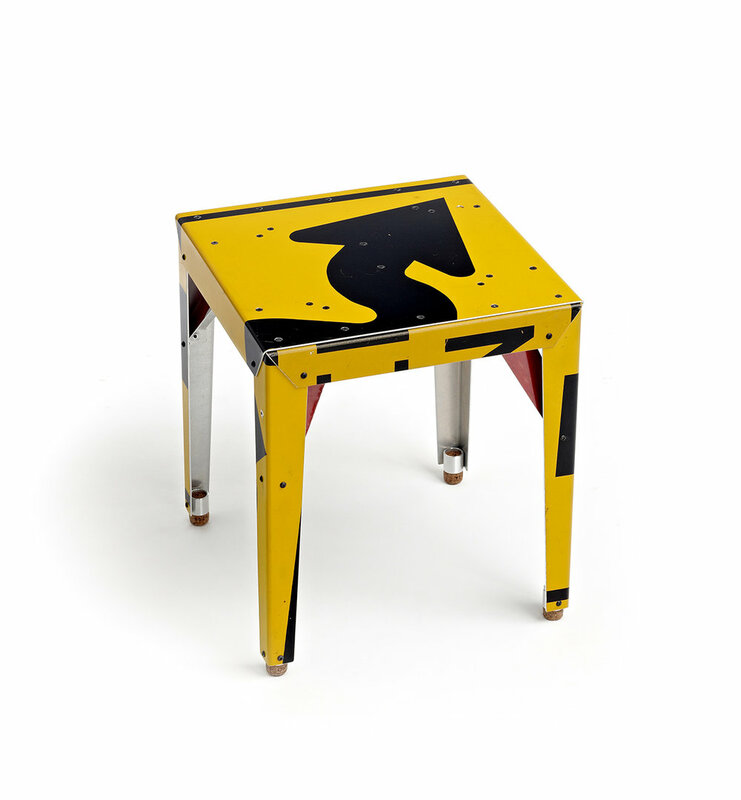 He is a Swiss trained metalsmith known for his pioneering use of recycled aluminum traffic signs. In 2009, Bally was interviewed for the Oral History Project of the Smithsonian Institution's Archives of American Art. In 2012, Bally won First Prize from the International Green Dot Awards for his Broadway ArmChair design. His work has earned him two RISCA Design Fellowships as well as the 2015 Rhode Island State Council on the Arts Fellowship in Craft. Public collections include V&A Museum, London; Museum of Fine Arts, Boston; Museum of Art & Design, New York; Carnegie Museum of Art, Pittsburgh; Brooklyn Museum; Luce Foundation Center; Renwick Gallery; and Cooper Hewitt National Design Museum. He lives and works in Providence, Rhode Island.